Though largely associated with gangster films, James Cagney was also a comedian, romantic lead, and song-and-dance man. Cagney got his start in vaudeville and made his film debut at the start of the talkie era. 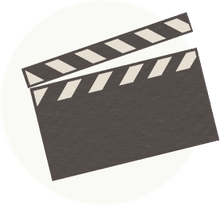 He had an acrimonious relationship with his home studio, Warner Bros., but over time delivered one quality performance after another and proved himself to be one of Hollywood's most bankable stars. Cagney was nominated for three Academy Awards throughout his career and won for his iconic portrayal of George M. Cohan in Yankee Doodle Dandy. 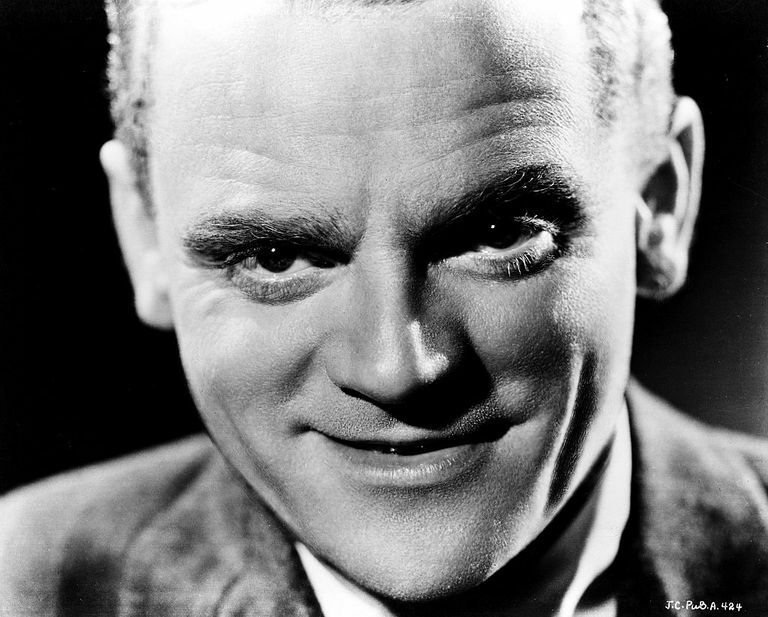 A legendary performer, there was no one quite like James Cagney. After making his film debut in 1930, Cagney delivered a breakthrough performance in the seminal gangster film, The Public Enemy, directed by William Wellman. The story focused on the criminal career of Tom Powers, who rises to the top of the Chicago crime syndicate during the Prohibition Era, only to suffer a tragic fall. Cagney’s electric turn as Powers was nothing short of a revelation and catapulted him to the top, thanks in large part to the infamous scene where he smashes a grapefruit into Mae Clarke’s face. Though derided by critics as lowbrow entertainment, The Public Enemy launched Cagney’s career and lived on as an all-time classic revered by audiences generations later. Cagney earned his first of three Oscar nominations for his performance in Angels With Dirty Faces, Michael Curtiz’s gritty gangster drama about two childhood friends who grow up on opposite sides of the fence. While Rocky Sullivan (Cagney) turns to crime, Jerry Connelly (Pat O’Brien) becomes Father Jerry, whose work with teenage boys turns him into a local hero. But Rocky finds his loyalties crossed when two hoods (George Bancroft and Humphrey Bogart) try to end Father Jerry’s attempt to clean up the streets by trying to kill him. Though the film has worn over the years, Cagney’s turn as the conflicted Rocky was one of his most enduring. Once again, Cagney plays a gangster – he would be stereotyped as such throughout much of his career – only this time he’s a World War I veteran who enters the bootlegging business with one of his war buddies (Humphrey Bogart) and rises to the top of the criminal world during Prohibition. Meanwhile, a third fellow veteran (Jeffrey Lynn) becomes a determined prosecutor looking to bust up the illegal liquor business. Complicating matters is Priscilla Lane, who attracts the amorous attention of both Cagney and Lynn. Cagney’s performance assured his home studio, Warner Bros., that he was one of their most bankable stars, and was highlighted by his now-famous death scene where he meets his end on the snowy steps of a church. Finally able to break free of the gangster mold, Cagney delivered his greatest performance as real-life song and dance man, George M. Cohan, in the iconic classic, Yankee Doodle Dandy. Full of pageantry and flag-waving patriotism – not to mention distortions of the facts of Cohan’s life – the vibrant biopic musical was Hollywood entertainment at its best and Cagney’s energetic performance was the reason why. The actor put on a lively display in several iconic musical numbers, including “Give My Regards to Broadway,” “You’re a Grand Old Flag” and the legendary title song. The picture earned eight Academy Award nominations, but it was Cagney who stole the show by winning his one and only Oscar for Best Actor. With the classic crime drama White Heat, directed by Raoul Walsh, Cagney delivered a signature performance punctuated by an iconic declaration that he’s on top of the world before going up in a ball of flames. Cagney starred as Cody Jarrett, a sadistic gang leader whose lone solace from his debilitating headaches is the soothing touch of his Ma (Margaret Wycherly). He robs a train and gets sent to prison, where he learns that one of his henchman has killed his mother, triggering a fit of rage, an escape from prison, and a botched a heist that ultimately leads to his fiery end. A classic film noir, White Heat featured Cagney at his least sympathetic, but also at his most enthralling. Though not the star of John Ford’s Navy comedy – Henry Fonda played the titular Roberts – Cagney was nonetheless memorable as the despotic Commander Morton, who is proud of his spotless record aboard the naval cargo ship, the U.S.S. Reluctant, and rules with an iron fist to make sure it stays that way. Meanwhile, he continually refuses to transfer Roberts – who desperately wants to see action before the war ends – in order ensure his own promotion. Even though Ford was replaced midway through shooting by Mervyn LeRoy due to ill health, Mister Roberts was box office hit and allowed Cagney the rare chance to play the comic villain. He would go on to star as the lead and supporting actor in a number of films throughout the 1950s and 1960s, but one could argue that Mister Roberts was Cagney’s last indelible performance.